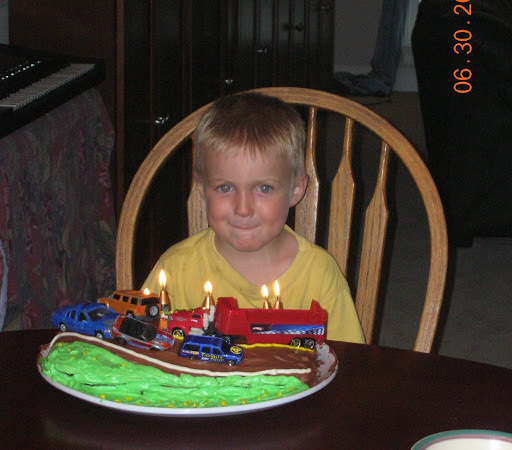 My littlest boy turned 5 years old yesterday. 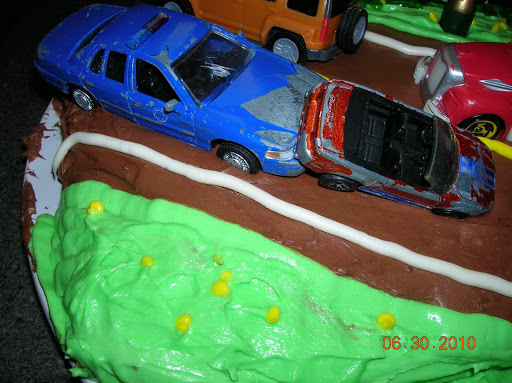 He wanted a high speed chase/crash cake. I put the cars in the dishwasher the night before and it destroyed the paint finish (these cars are several years old anyway). Of course, the peeling paint just added a certain realism to the whole crash scenario. Then he picked these champagne bottle candles (which we used for an adult cake many years ago). Nice touch. 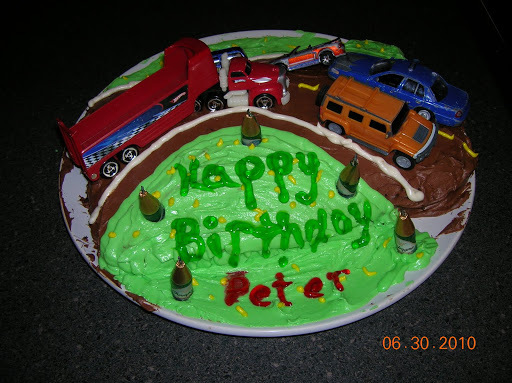 Notice the dripping gel used to write “Happy Birthday Peter.” I’ve been trying to get rid of that stuff for a long time. 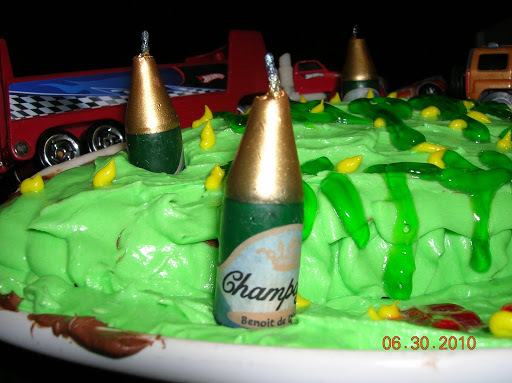 With the champagne bottle candles this cake looks like the “Why you shouldn't drink and drive cake.” Too funny. 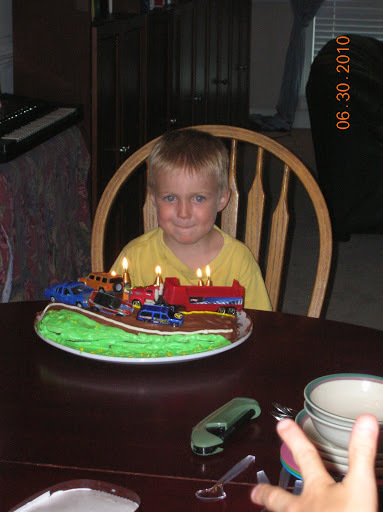 Hope your little guy had a great birthday. That is hysterical! I keep telling you that kid is going to be a stunt man. By the way, nicely executed! Very cute cake. Too funny! I bet he loved the cake 🙂 Happy birthday, Peter! Great looking cake. Happy Birthday Petey!!!! oy, it's a don't drink and drive cake! sorry, I'm so belated…Happy Birthday!